Natural News declares 2015 the "Year of Self-Reliance"
(NaturalNews) Here at Natural News, we're declaring 2015 to be the "Year of Self-Reliance." This is a year in which we're going to be focused on bringing you the news and practical skills that help you become more self-reliant, prepared for the unexpected and more independent from all the systems that we now take for granted: food, water, medicine, finances, community safety and more. • The federal government has approved the institutional looting of most pension funds nationwide. Many pension checks for government retirees will now begin to dwindle year after year. • G20 central banks agreed to legalize the institutional looting of all private bank accounts to save troubled banks. It's called a "bail-in" arrangement, and it means they will steal from depositors when the next wave of financial crisis arrives. • The extreme drought in California has already collapsed an alarming portion of U.S. food production capability, especially hitting many fruit and nut orchards that will take a decade or more to replace. • Water systems are failing nationwide. Communities in California have already run dry, and the pumping of fossil water aquifers is wildly unsustainable and headed for a dramatic collapse. A similarly shortsighted water exploitation is also taking place in North Texas, Oklahoma, Kansas and parts of Colorado. Water aquifers are headed for inevitable collapse in many parts of the country (and around the world). • The unsustainable U.S. welfare state is now accelerating toward financial collapse. The grotesque, massive wave of Big Government handouts has reached the point of total absurdity, where now two-thirds of American children are growing up in households receiving federal entitlements. The Obama administration has also aggressively pushed food stamps (EBT cards) to the point where nearly 50 million Americans are now living on food stamps. • Commercially grown food is becoming more and more polluted with pesticides, herbicides and genetic pollution. GMOs are widely contaminating crops in Europe even after GMOs were banned there! • The police state in America has reached a new level of government extremism and outright terror committed against the People, with SWAT teams now tossing grenades at toddlers, and children being frequently kidnapped by hospitals and held against their will. • As Michael Snyder of The Economic Collapse Blog points out, most Americans are totally clueless about what's really coming in 2015. "There is only one other time in history when the price of oil has declined by more than 50 dollars a barrel in such a short time frame," Snyder writes. "That was back in the middle of 2008, shortly before the worst stock market crash since the Great Depression." • The government criminalization of freedom has reached a new level of absurdity. It's so bad that now being American is un-American! The vicious smearing of anyone who advocates the very foundations of America is now so atrocious that people who openly talk of supporting the Bill of Rights, the Constitution, the Second Amendment or even supporting military veterans is condemned by the radical socialist left that wants America to follow in the footsteps of countries like Cuba and North Korea. ... and yet all this lunacy will come to an end. It will end for a very simple reason: All the systems of government bloat and incompetence that have been put in place by the radical anti-American extremists currently in office will inevitably end in collapse. Almost every socialist idea put forth by the Obama administration is a future collapse in the making. Obamacare, for example, is such a horribly awful and stupid idea that now almost 4 out of 5 Obamacare enrollees are receiving government subsidies. This means the government is confiscating money from the working class, then handing that money over to the health insurance companies in order to create the illusion that health insurance is "affordable" for those who are subsidized. It's difficult to fathom a more ill-conceived and inherently dishonest idea, which is probably why even its own architect Jonathan Gruber admitted last year that Obamacare was only passed due to the stupidity and gullibility of the "American voter," in his own words. This is the essence of Big Government, socialism and the nanny state: Every big new promise only leads toward a disastrous new failure a few years down the road. Because let's face it: any system that encourages people to sign up for more and more handouts while punishing small business owners with onerous, mandatory "sick care" penalties that are really just crony government handouts to insurance companies and pharmaceutical factories is doomed to fail... disastrously. When all this fails, who will you have to depend on? Yourself, your family and your local community. That's why 2015 is the Year of Self-Reliance. 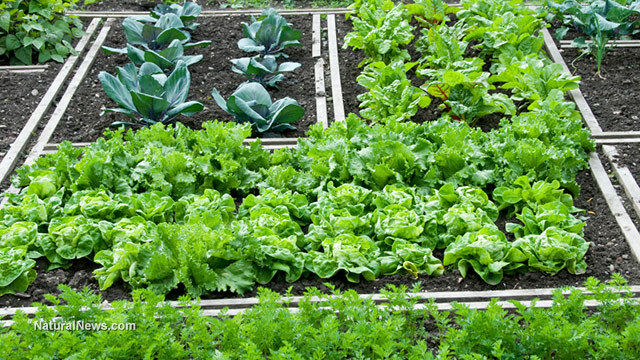 This is the year you need to learn how to grow at least some of your own food. This is the year you need to divest your assets away from the dollar so that you don't get wiped in a potential currency war against America (which will be waged by Russia and China, of course). This is the year you need to enhance your economic independence in any way you can... find ways to survive even if your pension fund or bank account balances get raided by the very institutions that claim to be "protecting" them. I'm not saying everything is going to collapse in 2015. Far from it, actually: this slow collapse we've already entered may take years to fully unravel. It may unfold as a steady deterioration of your purchasing power. For example, what happens if each year your retirement pension check is cut by 20% while food prices rise 20%? If you follow that math, in about 3.5 years, food prices will have doubled while your pension check will have been cut in half. This means your total purchasing power will have been cut to about one-fourth of what it was. Of course, there are always those who choose to live in denial of economic reality. Even right now, some people are saying, "Well gee, the stock market is at an all-time high!" Or, "Gasoline is cheap! That's good for everyone!" Low gasoline prices, meanwhile, are a temporary side effect of a contrived currency war being waged against Russia and Venezuela by U.S. and Saudi interests. It is not a sign of a healthy economy; it's a sign that international tensions are approaching a point of criticality. Once the political aims of the artificially low oil prices are achieved, you can fully expect prices to whipsaw back to new highs. My point in all this is to emphasize the importance of being more self-reliant. From this day forward, we all need to be ready for systems to start failing or eroding. Throughout this year, you're going to see many examples of systems breaking down. It might be increasingly difficult to take cash out of your bank account, or harder to find fresh almonds in the grocery store, or even more difficult to navigate how your health insurance actually works. 2015 is a year where you're going to see more hospitals experiencing more disastrous billing errors, longer wait times for medical procedures and longer hold times on the phone when you try to call a government department to get answers. This is the year you'll really start to notice how bloated big government is starting to fall apart at the seams. You'll have tax questions that nobody can answer... not even your accountant. You'll have insurance problems that nobody can solve. And you might even be fined, arrested or even imprisoned for doing something that used to be totally normal such as collecting rainwater on your own property or growing veggies in your own yard (or even letting your children play "unsupervised" at a city park). As these systems fall apart, you will need to rely more and more on decentralized, distributed systems in order to thrive. What are decentralized, distributed systems? Simply put, these are systems which do not depend on centralized, top-down systems of control. These are all examples of the kind of things we aim to share and teach in 2015. Not because the topics are "cool" but because you will need to know this stuff as the systems we've all learned to rely on begin to unravel and fail. This focus is far beyond mere "preparedness." This is also about living sustainably, in harmony with the land and the resources it offers. It's about living within our means at every level: economic, agricultural, environmental and so on. This is why you'll see a lot of focus this year on permaculture and sustainable food production techniques.